June 9, 2018 /Photography News/ Born 175 years ago today, on 9 June 1843, William Pywell was a 19th Century American photographer. He first worked for Mathew Brady (one of the most celebrated 19th century American photographers) and Alexander Gardner (best known for his photographs of President Abraham Lincoln). On the outbreak of the American Civil War there was a dramatic increase in work as soldiers wanted to be photographed in uniform before going to the front-line. Soon after arriving back from the front Matthew Brady decided to make a photographic record of the American Civil War. 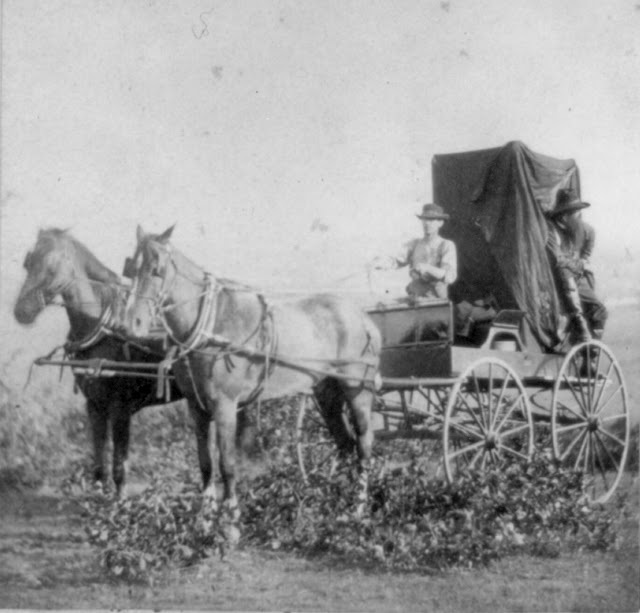 He sent Pywell, Alexander Gardner, James Gardner, Timothy O'Sullivan, George Barnard, and seventeen other men to travel throughout the country taking photographs of the war. Each one had his own travelling darkroom so that that collodion plates could be processed on the spot. Their work was published by Gardner in 1866 as "Photographic Sketch Book of the War" Vols. 1 & 2. (Washington, DC. Philp & Solomons). After the war, Pywell traveled with George Custer, the United States Army officer and cavalry commander in the American Civil War and the Indian Wars, as the official photographer of the 1873 Yellowstone Expedition. He also accompanied Alexander Gardner on the Kansas Expedition. William Pywell died in 1887. 20 comments so far. What do you think?